Nana Ama McBrown Mensah has finally opened up about her real age and has emphatically stated in a wide-ranging interview in which she talked about both her private and public life. 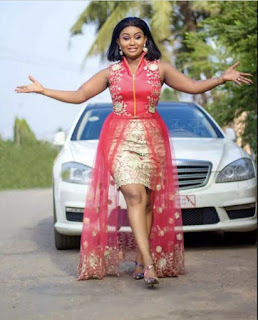 Speaking in an interview with Felix Adomako Mensah on the ‘Celebrity ride with Zionfelix”, the actress revealed that the media had always given her a ‘higher’ age than she was in reality. Her comments came on the back of falsehood being put out in the media concerning her age. She revealed that she had been tagged as the “44-year-old” woman when clearly she had not hit that mark yet. She added that she could not come to terms with why people would put out false information about someone when they could have just picked up a phone to verify.